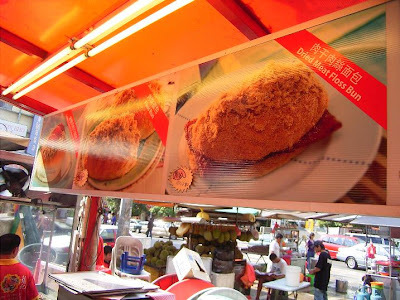 Jalan Alor, is definitely one of those places which I tagged as, I wont go there unless I have to, in the afternoons. The traffic jam here is terrible, and parking spaces are hard to find and also they are blaardy expensive. But one Saturday afternoon I had to be there to collect some stuff, so I ended up there. I parked diagonally opposite to Loong Kee , which initially I had no intention to drop by, but the smells were just to hard to resist, as if I kena mind controlled into the shop. Anyways, I wasn't going to buy anything, just want so see see only. 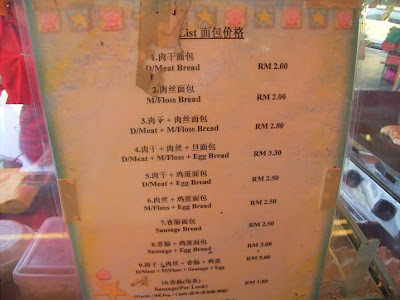 But, because of the free smells, I suddenly remembered, I have not had Dried Meat Bread in a long long time. So I looked at the menu, I chosed the third option. If you compare how they served me in the video with the picture above, you would have noticed that the m/floss is actually inside the bun and not outside. The above picture makes it look nicer only, but definitely tasted the same, plus you don't have to deal with meat floss falling all over. This shop sells practically everything else, tambun biscuits, tau sah phneah, heong pang, egg tarts, coconut tarts, kaya puffs, curry puffs, everything la. They also sell mineral water and soft drinks over the counter. 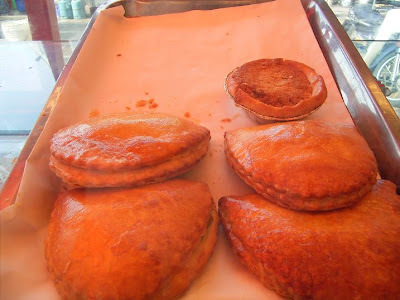 Anyone tried their puffs and tarts yet ? 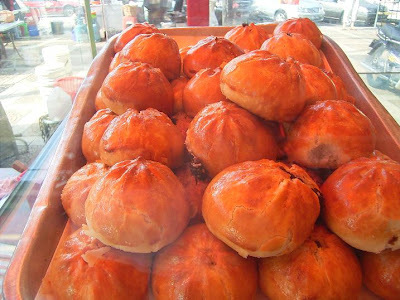 Compare them with Tong Kee stuff ? The same night we were at Jalan Alor again, this time to try some of the stalls and to specifically go eat WAW's Chicken Wings. 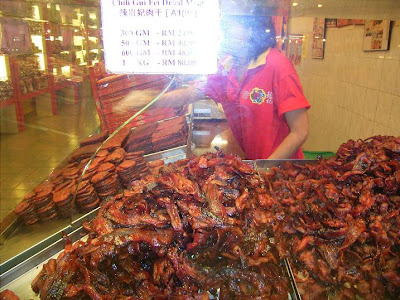 We browsed around Loong Kee and found that they sell BBQ Dried Bacon Strips ( spicy /non spicy). Good or not ? (no need to answer) We were at the Cashier paying for the Bacons strips. We bought the spicy ones ( really spicy ) so if you are the tak bleh tahan pedas type, or got kids at home type, buy the not spicy ones. 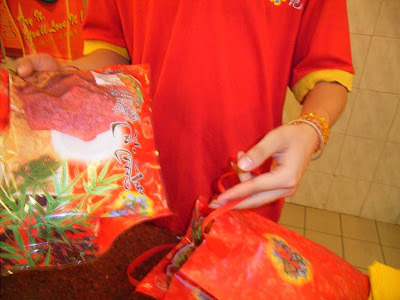 how do you think of Loong Kee Dried meat? ?